Today’s blog comes courtesy of a friend of mine, Mandy (CruiseMandy) Smith. She recently embarked on her first River Cruise and as it’s not something covered on my blog regularly, I invited her to share with us her experience. 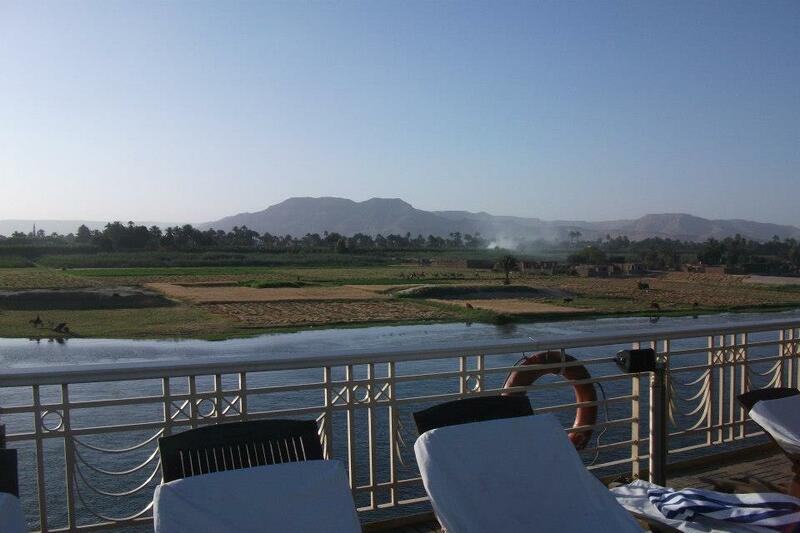 When the opportunity to cruise the Nile on the 5* Royal Viking with Discover Egypt presented itself I jumped at the chance. A river boat is a lot smaller and doesn’t have the facilities like a cruise ship does, I thought to myself (that could pose a problem for an attention deficit person like me) but I decided sometimes you have to just go with an opportunity and give it a try. 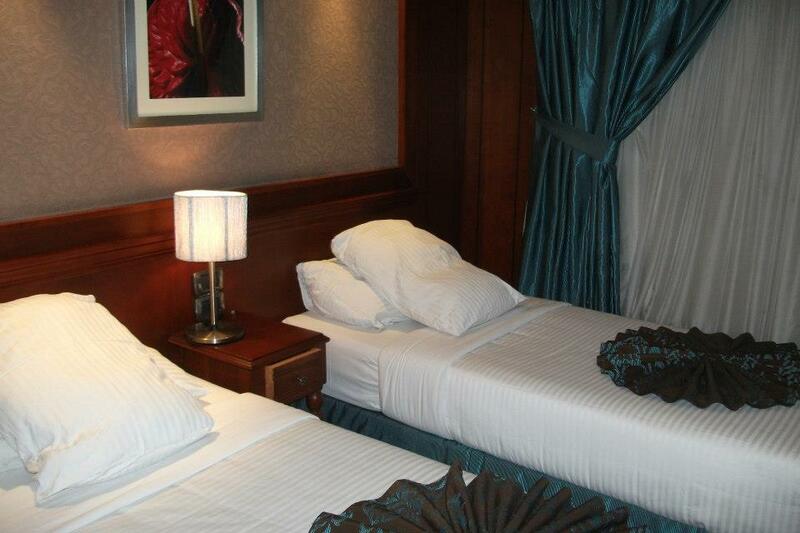 I must say that I was very pleasantly surprised not only with the ship but with the high level of service on board. Once we landed in Egypt the excitement was starting to build, all I wanted to do was see the ship, get on board and explore, thankfully I would not have long to wait. The main areas of the foyer, dining room and lounge were spacious as were the cabins. In addition the whole of the top deck was dedicated to relaxing in the sun. With the ever changing view of the Nile and a welcoming breeze while we were sailing it really was the perfect way to wind down. The top deck featured a pool which was great for cooling off in but not large enough to swim lengths, not that this really mattered as I got my exercise ashore. There were plenty of sun loungers with lovely thick cushions and a good supply of towels as well as a large canopied area for those that preferred the shade. The waiter service was so good that once settled on my sun lounger there was no need for me to move. They provided a steady stream of fruity (non-alcoholic) cocktails, lemonade, tea, beer or whatever else was requested and then cleared the empty glasses away just as swiftly. Every cabin received a wake-up call so that we had time to get ready and have breakfast before our days ashore exploring. Members of staff would also walk around the decks ringing a bell so that we didn’t miss any meals or meetings. I really liked these little touches as I am always impressed with anyone that attempts to organise me. The cabins were cleaned and beds made twice a day so it was lovely jumping into a crisp, cool bed (with Egyptian cotton sheets of course!) after a morning exploring and then again of an evening. I have an unpredictable tummy and thought that if anyone was going to be poorly in Egypt it would be me. I was wrong; the food was lovely with plenty of choice and a very high standard of hygiene. All members of staff and guests were asked to use the hand sanitizer before entering the kitchen or the dining room and the waiters regularly re-sanitised their hands. I have to admit that I am not heavily into to Egyptology and with bad asthma, thought I would struggle with the excursions. 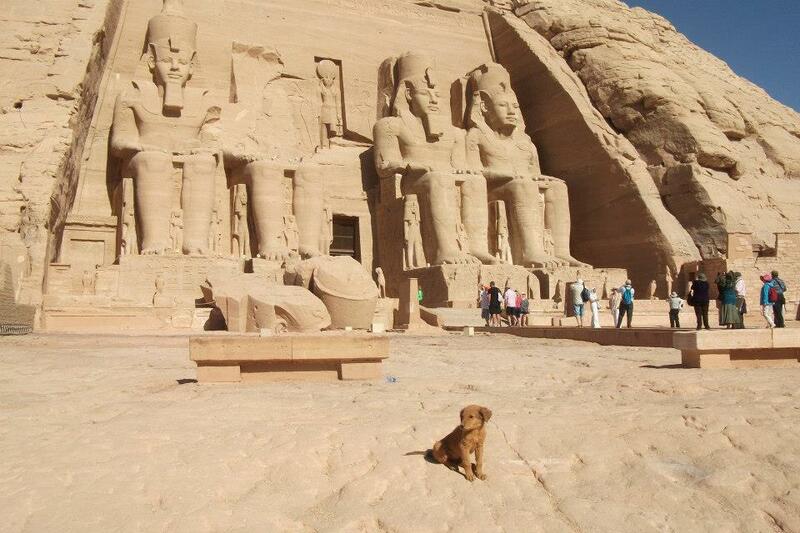 Instead I managed them all without any difficulty and must admit thoroughly enjoyed my glimpse into Ancient Egypt. One of the tours used a horse and carriage as its transportation method, my worst nightmare as I am heavily allergic to horses. Instead they called a taxi for me and no fuss was made. Excursions were early in the morning to avoid the scorching heat come the afternoon. It was a nice balance as it allowed for sightseeing during the cooler periods and relaxation on board during the day’s peak. Our time ashore included visits to the following: Km Ombo temple, Aswan, temples of Abu Simbel, Luxor, including the sound and light show at Karnak temple. 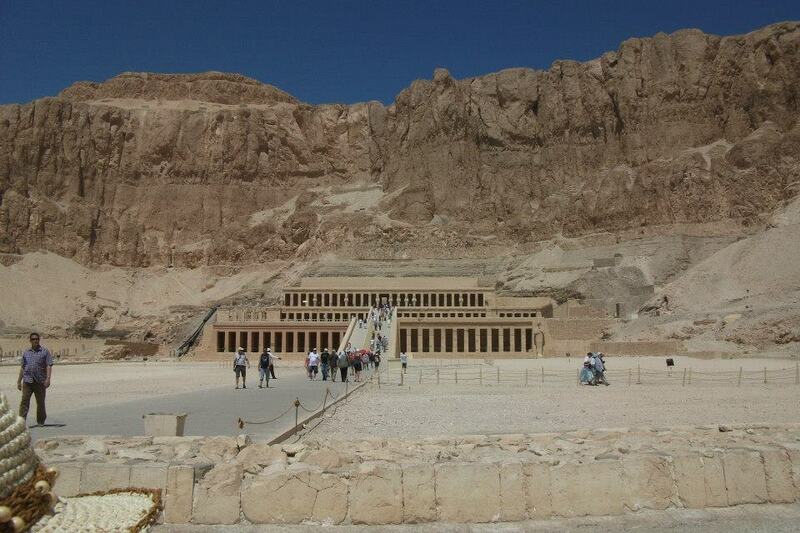 Valley of the Kings, Valley of the Queens and the temple of Queen Hatshepsut. Overall I enjoyed my time aboard Royal Viking and would most certainly do it again, I would even consider this as a solo holiday option as everything was very well prepared and you would never feel vulnerable or lonely that’s for sure.